March 4, 2013 - Twenty-five years after their debut album was released, Michael Soward , NU musician and producer of electronic music, re- launch due to strong demand in Europe, Japan , Russia and Australia in music outlet and dance clubs . "My music has found a new audience, and the EP is well played in several markets," said Soward . " I'm organizing tour dates in 2013 for my fans to see first hand how this music is vibrant . " " A wonderful classic EP recorded certainly ahead of his time . R.Jones LA "
The EP presents " He's Alive " by lifelong friend of Michael , Shelby Hurns . The re- release of the album , entitled " Michael Soward , " is a classic recordings Nu Disco , which also has great appeal for fans of electronic music . The original EP vinyl is being re -released on vinyl and download format in 2013 . The music is presented on YouTube and can be purchased on Amazon.com . Wikipedia describes the Nu Disco genre as a 21st century dance music associated with a renewed interest in disco music of the early 70's and 80 's, the music italo disco and synth- heavy Eurodisco aesthetics of mid 80 's. In 2002 , the newspaper The Independent described the Nu Disco as the result of applying "modern technology and precise production " to disco music of the 70 's and funk. Soward 's work explores the beginnings of Nu Disco and develops the range of the genre beyond its origins influential . 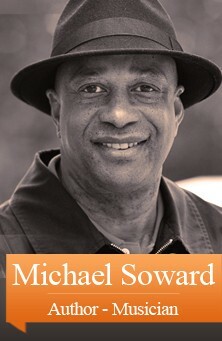 Michael Soward has been producing cutting edge music for almost 30 years. His early efforts produced the album '' Real Love . '' The LP was a mixture synthesized progressive soul and funk gospel spiritual . Soward continues to make new music and firmly believes that music is the "True World Universal Language . " He released new singles in 2012 , available on Amazon.com , and are planning a tour to celebrate the re- release of their 1988 debut album . The Soward Music Group is a company of Nu Disco and Electronic Music was formed a year ago in Brooklyn, New York by Michael Soward.